Clay Lord is a fun looking fantasy adventure. It follows a young man named Clay, who with abilities to create, control and befriend magical golems, enters competitions and travels the globe to further his skills and connection with them. The first volume of Clay Lord is scheduled from Seven Seas in April 2015, and is currently available to pre-order via Amazon CAN | US. Dance in the Vampire Bund 2: Scarlet Order is the sequel series to Dance in the Vampire Bund, which it seems safe to say is one of Seven Seas’ most popular titles including several spin-off series. Taking off after the events of the first, this sequel follows its lead Queen of vampires as she attends the 2020 Olympics in Tokyo, only to find herself a target for terrorists and embroiled amidst a new threat against her kind. The first volume of Dance in the Vampire Bund 2: Scarlet Order is scheduled for December 2014, with pre-orders now available via Amazon CAN | US. Evergreen seems like a well-suited summer announcement, telling the tale of a manga club president and the ace of his school’s swim team who become friends during a swim test, and perhaps something more. Seven Seas describes it as a romantic comedy, with the first volume scheduled for May 2015. 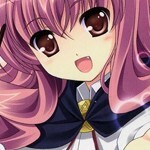 Yuyuko Takemiya, the author of Evergreen, was also the author of another Seven Seas’ title, Toradora!. Nurse Hitomi’s Monster Infirmary adds another to Seven Seas’ growing collection of monster girl stories. The story is about a one-eyed nurse who treats an assortment of unique students who come through her school office door. The first volume of Nurse Hitomi’s Monster Infirmary is scheduled for February 2015, and can be pre-ordered now at Amazon CAN | US.